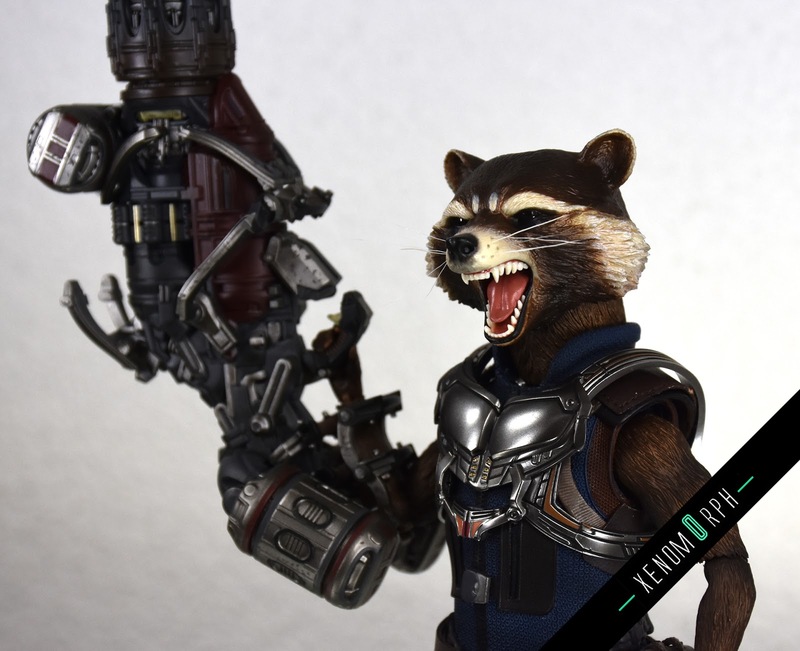 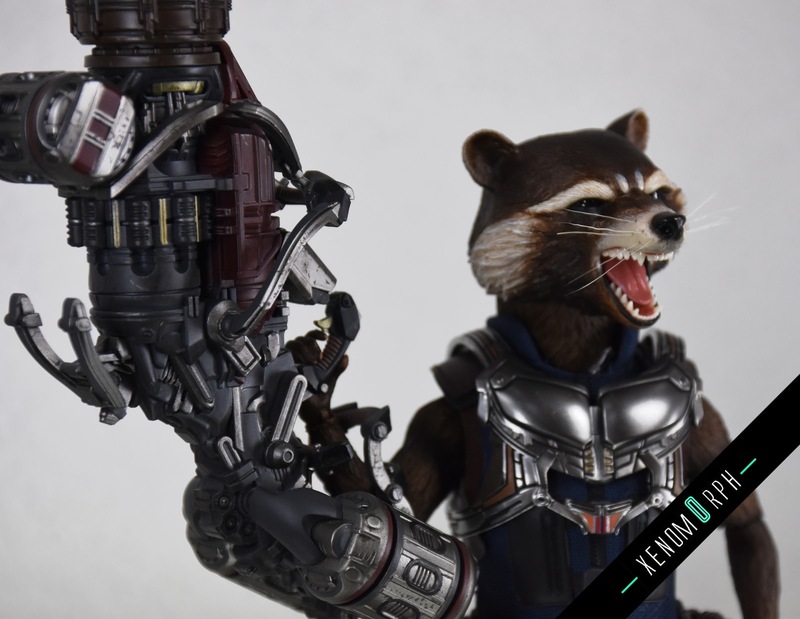 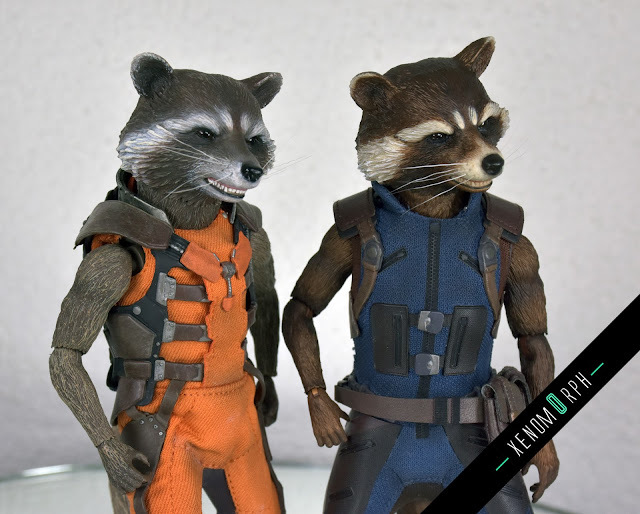 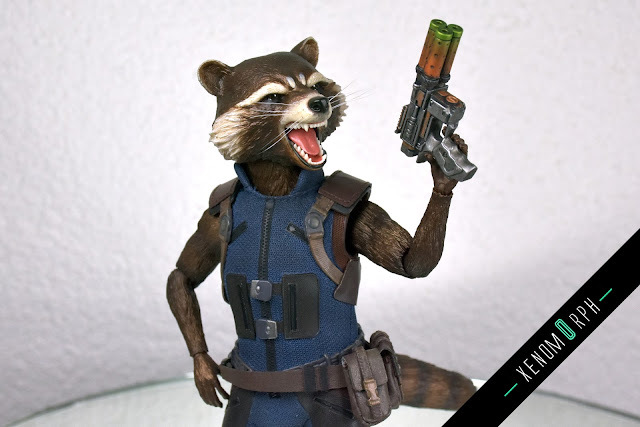 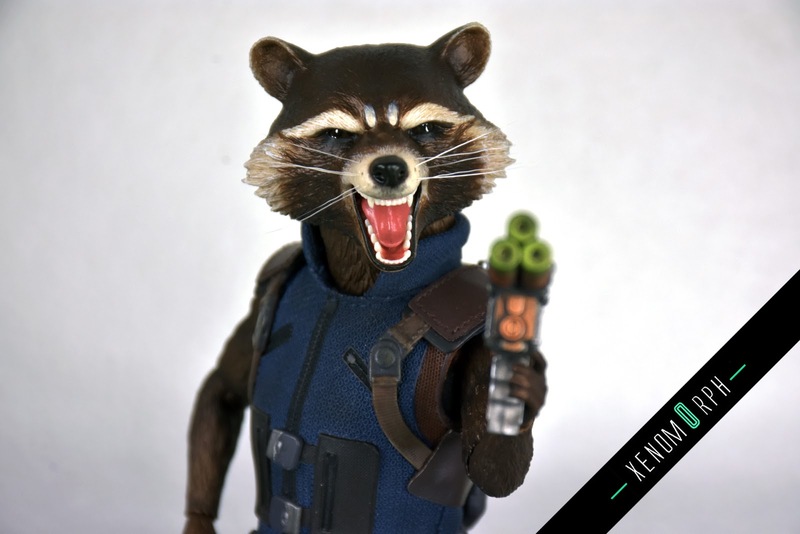 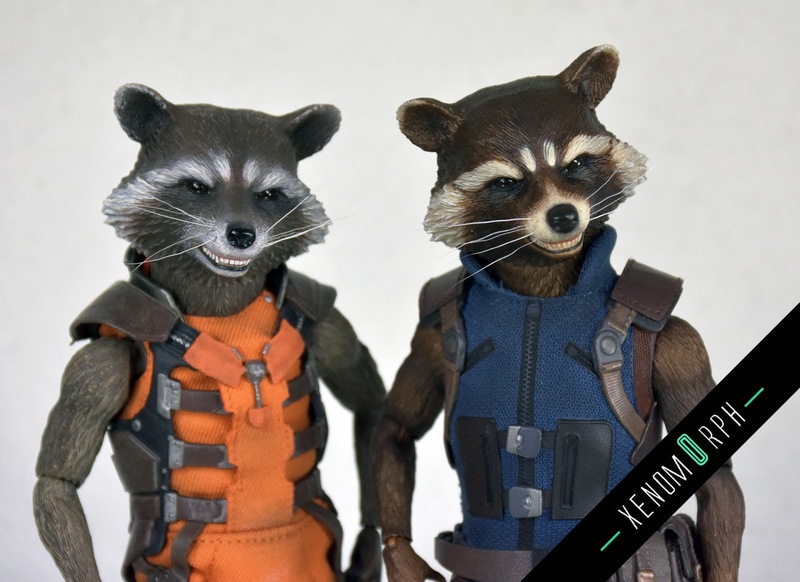 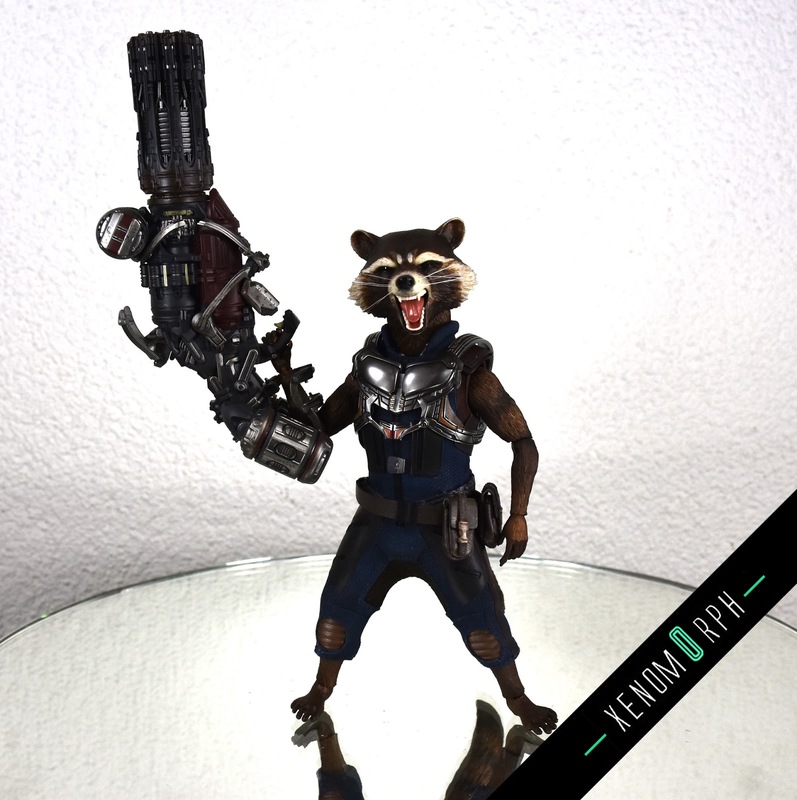 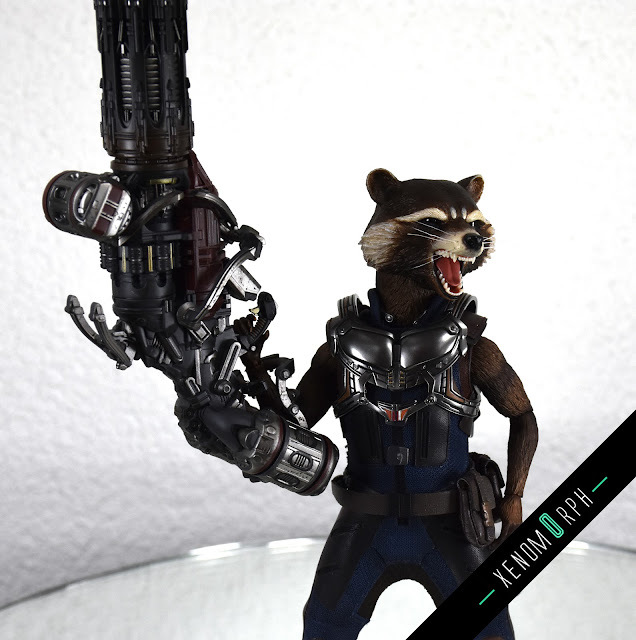 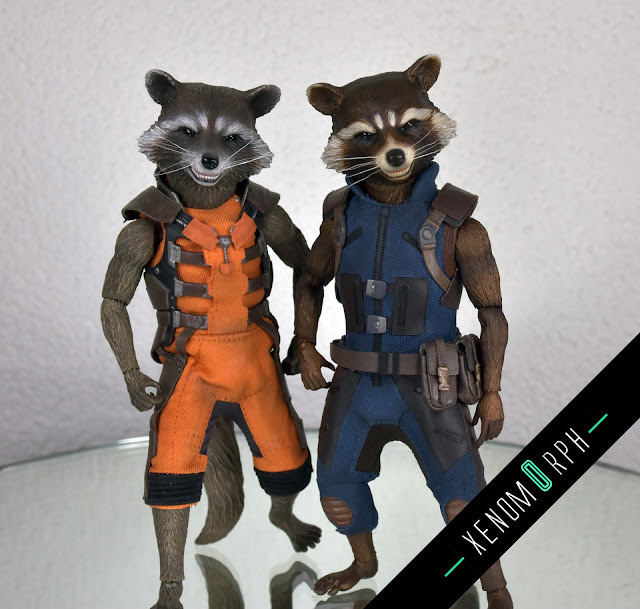 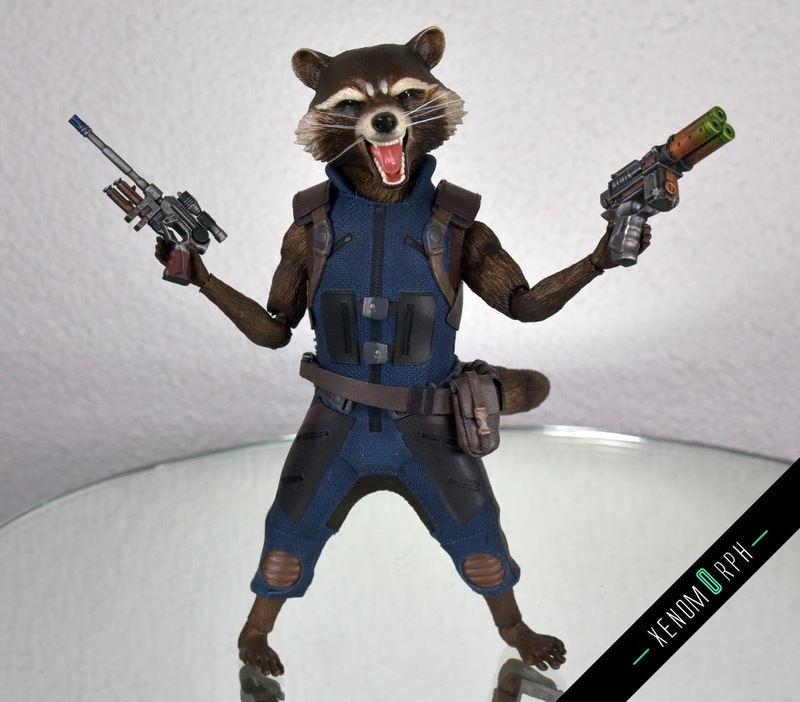 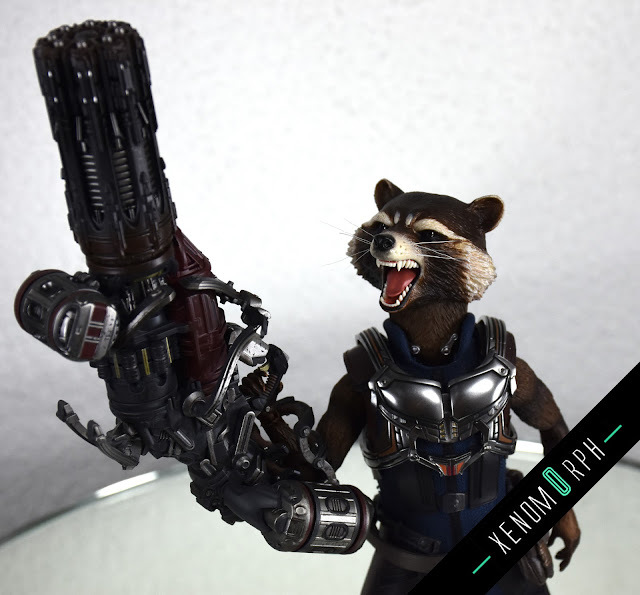 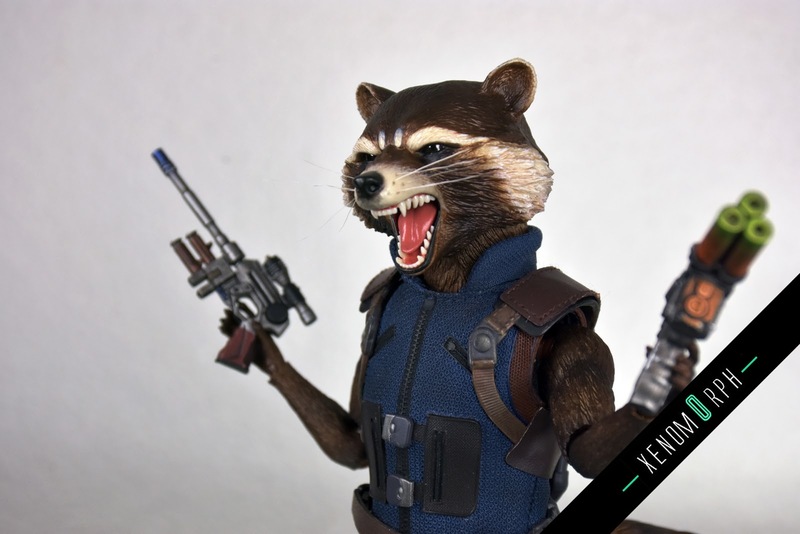 The second figure in Hot Toys Guardians of the Galaxy Vol 2 line has arrived- Rocket Raccoon. 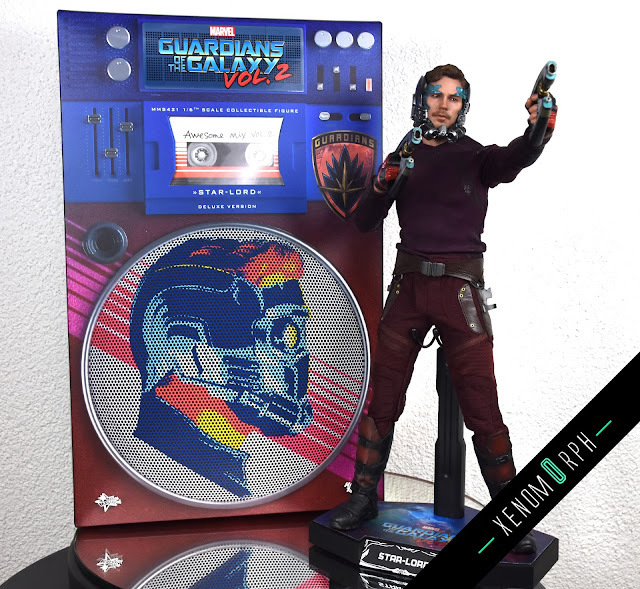 I went for the deluxe version which I highly recommend getting if you're on the fence to decide between the two verison. 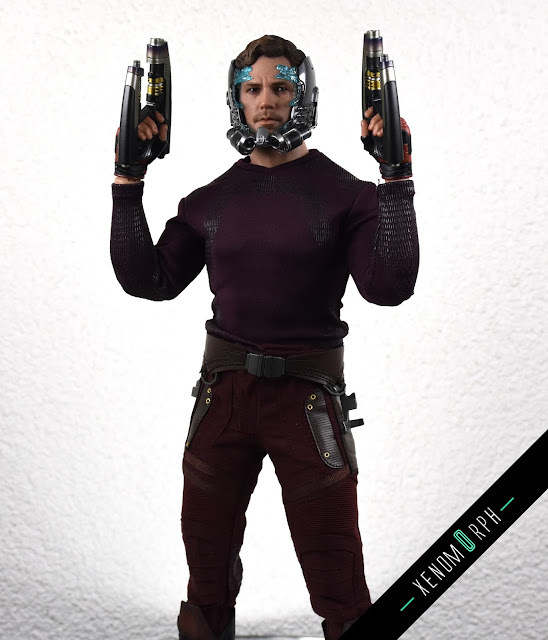 You'll just feel a bit better when shelling out so much money for this rather little figure when getting the huge minigun and the secondary headsculpt for only 25 USD more. 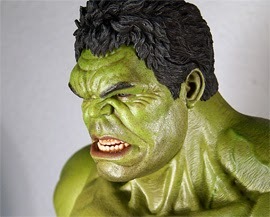 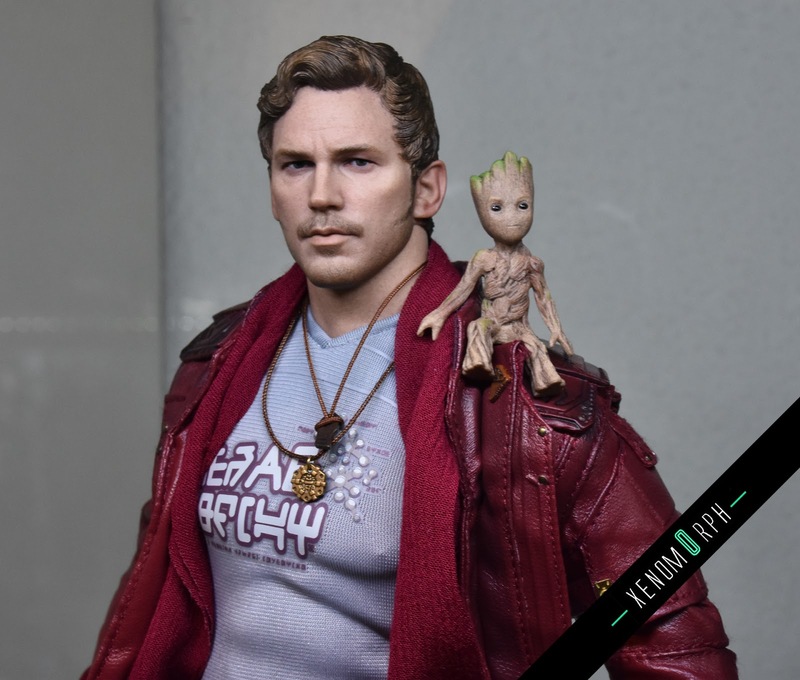 The paintjob is making quite a difference compared to the first version and the aggressive posed headsculpt is really well done. 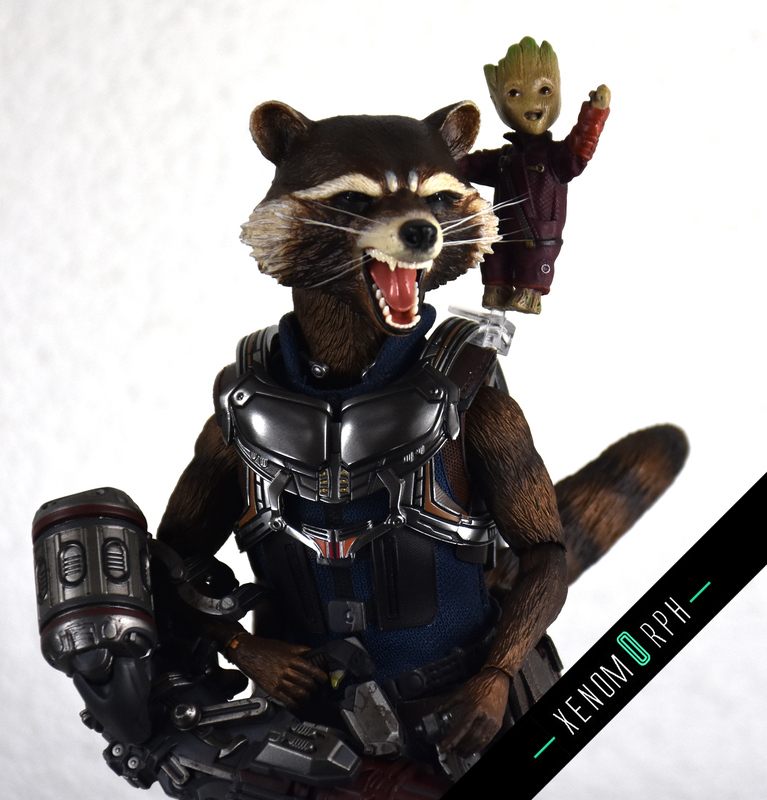 Also the dancing groot is a nice throw in. 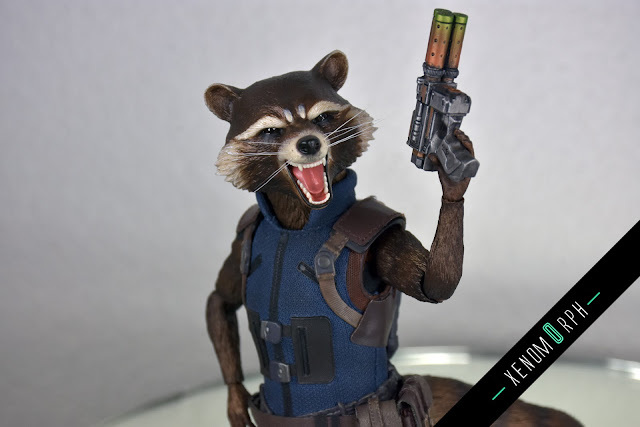 But what out for the small translucent holding piece to put groot on the shoulder of Rocket - it can tear the shoulder leather pad! Also i hoped for better flying poses options...it's just not well though trough by Hot Toys (jetpack and the tail are blocking the posing range.) 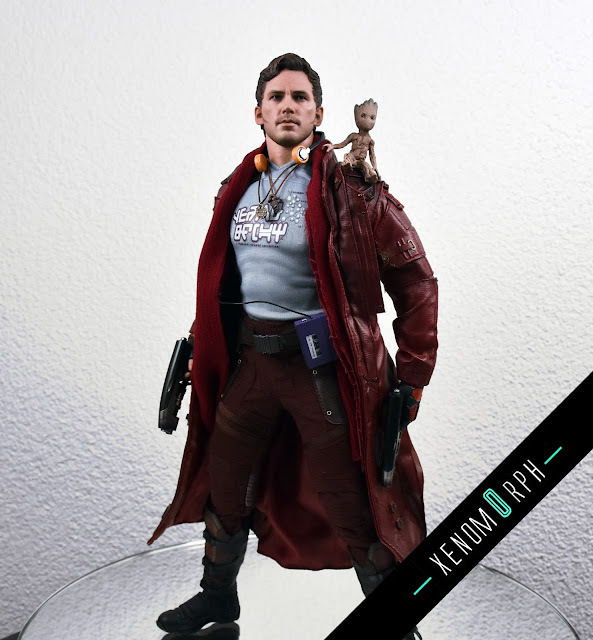 It's up to you to decide if this is worth your money. 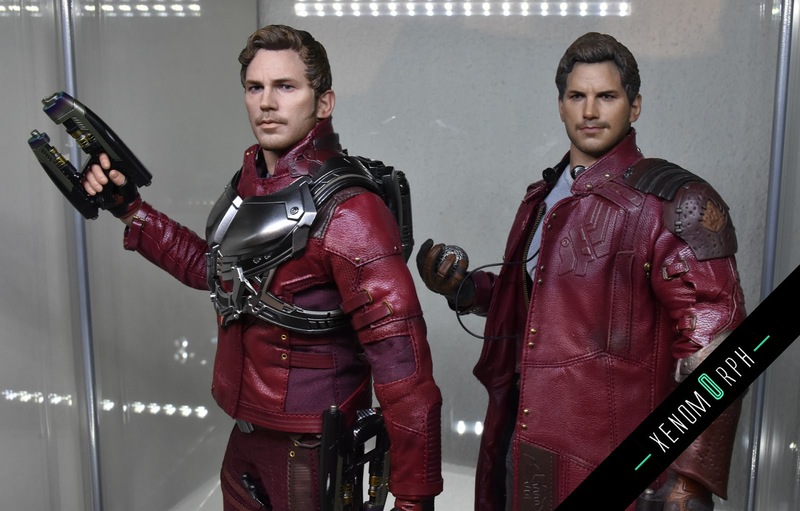 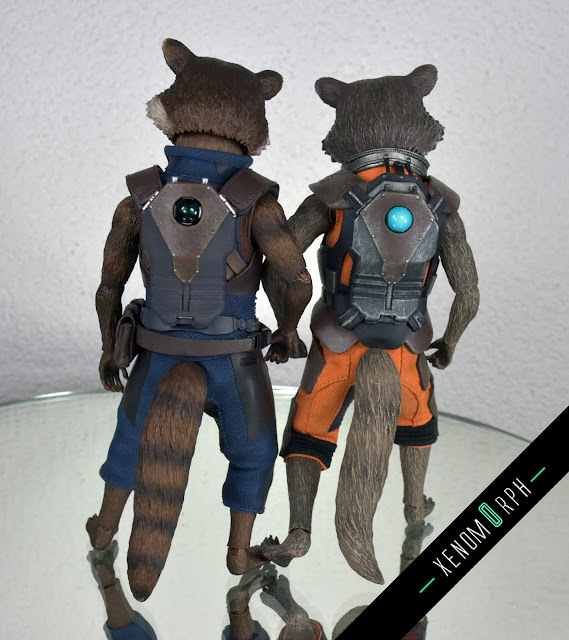 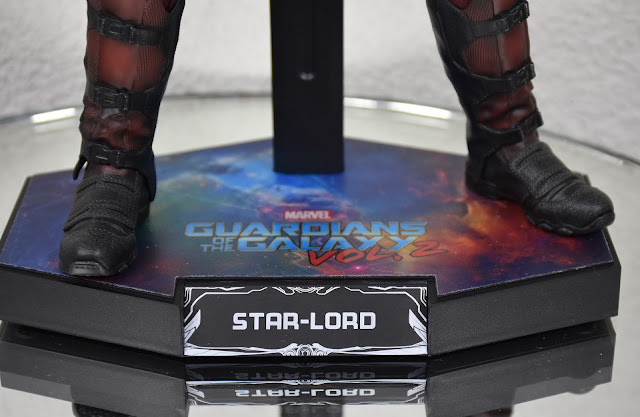 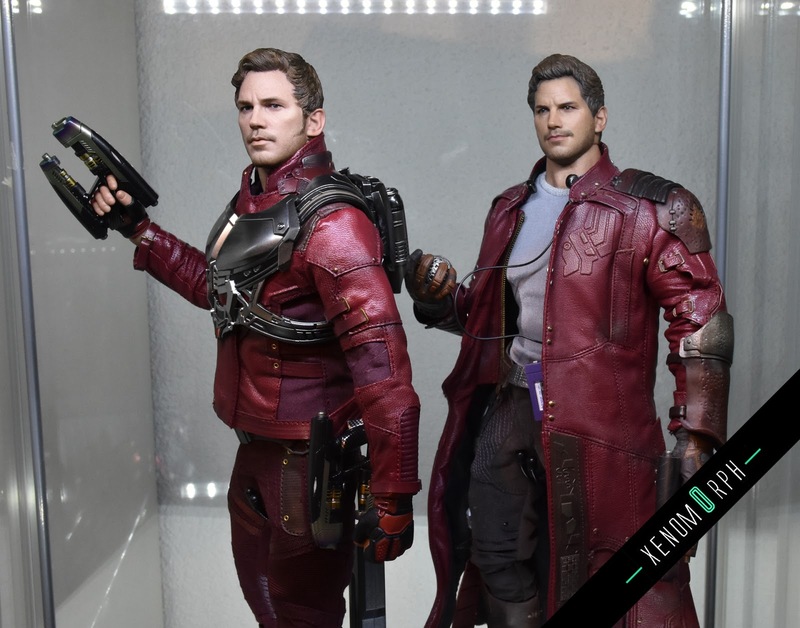 Hot Toys is kicking of their Guardians of the Galaxy 2 line with Starlod. 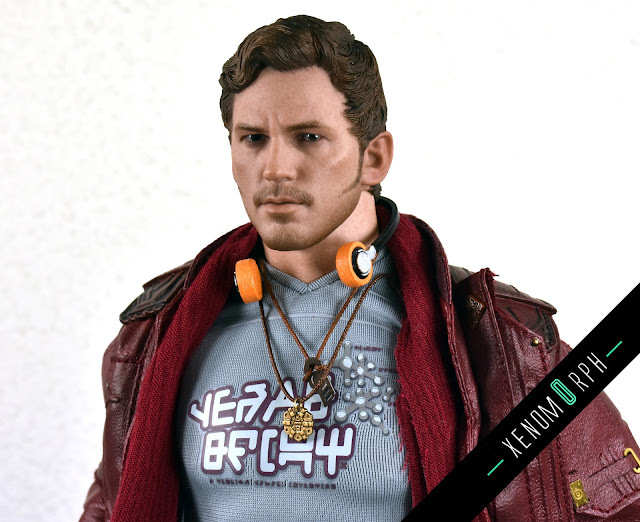 This release is packed with a lot of nice accessories and alternative outfits. 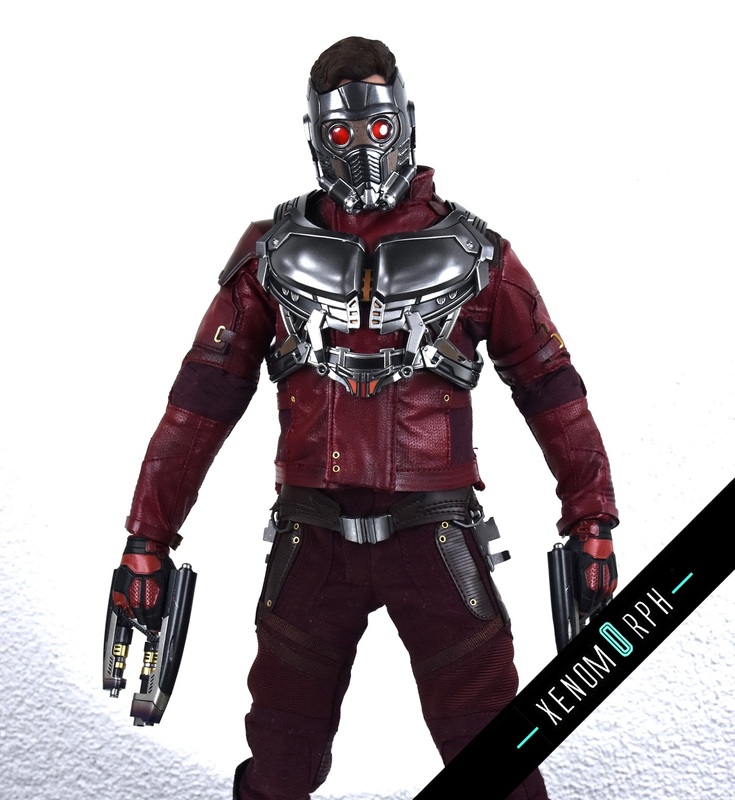 Especially if you go for the deluxe version which includes the large leather coat, a scarf, an activating helmet & a purple shirt. 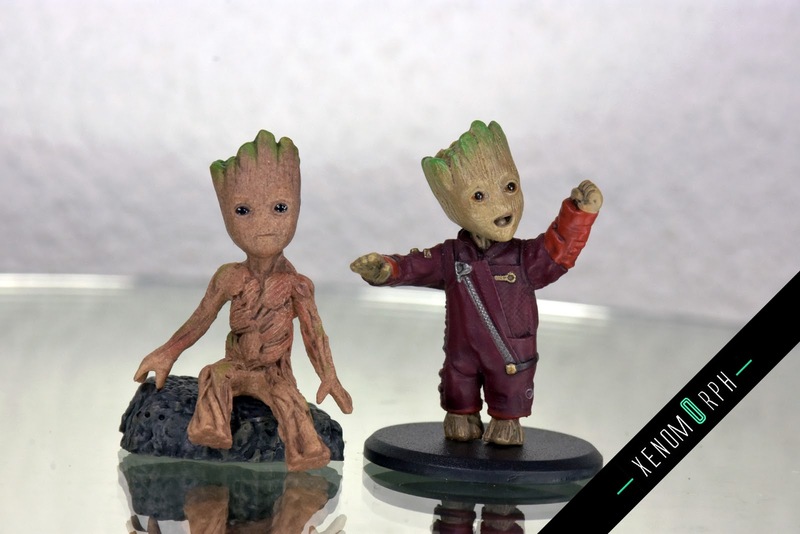 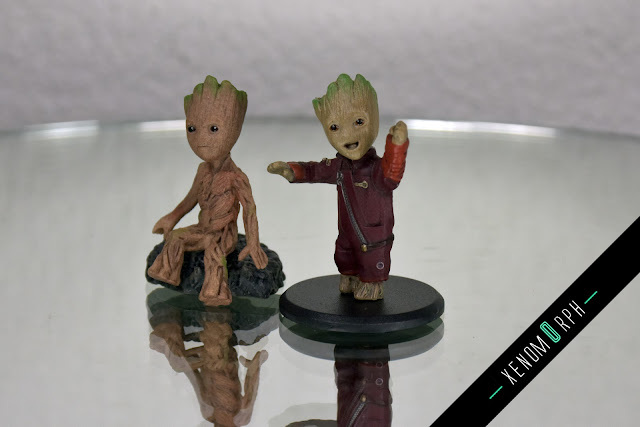 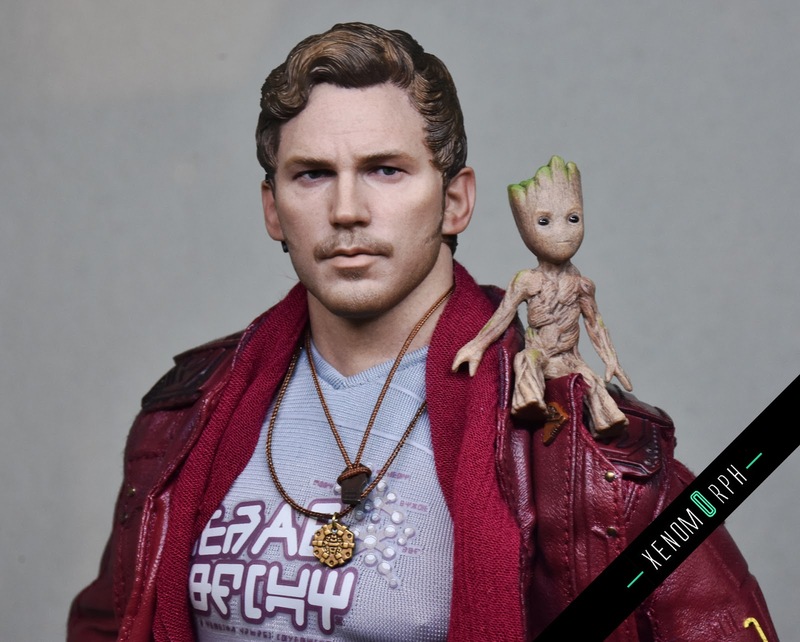 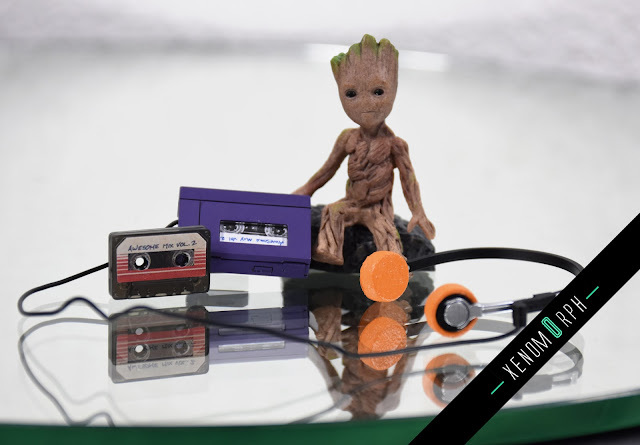 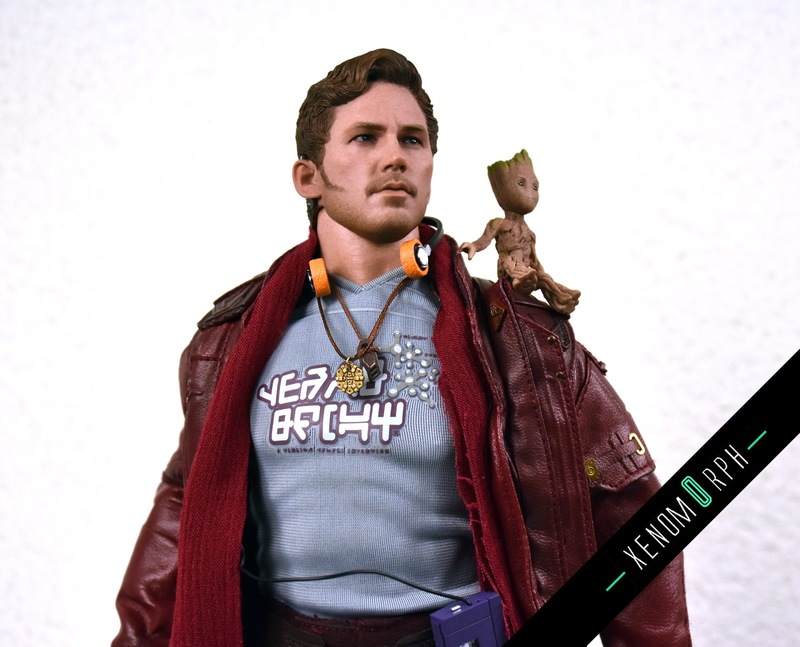 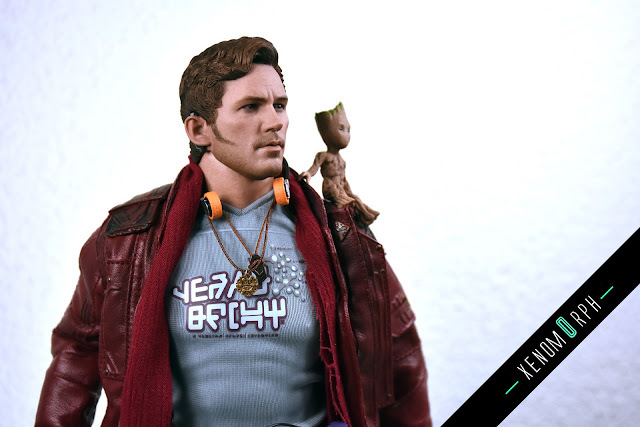 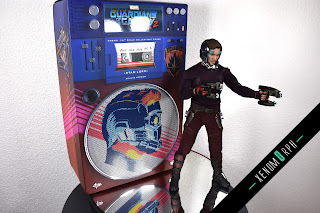 The baby groot is a neat throw in and you can place him on Starlords shoulder - great idea. 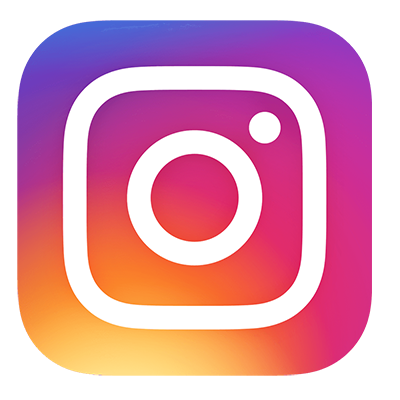 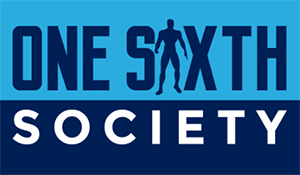 Now enjoy some photos and a video review on youtube. 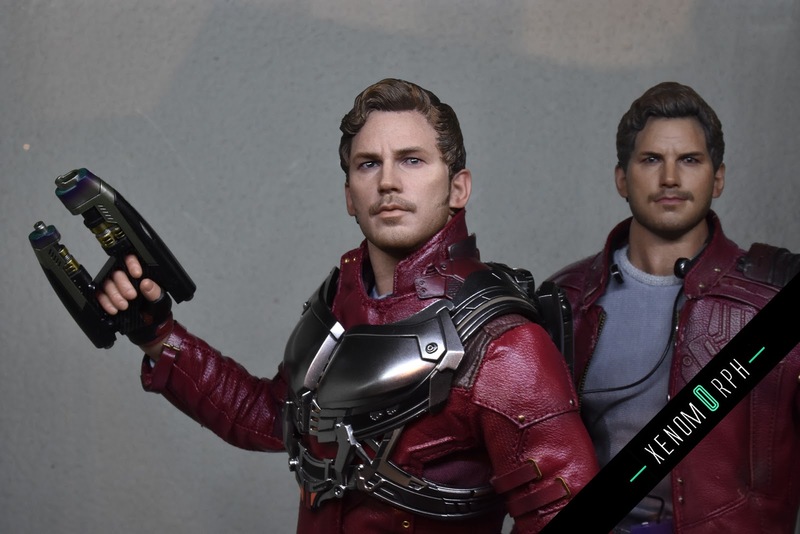 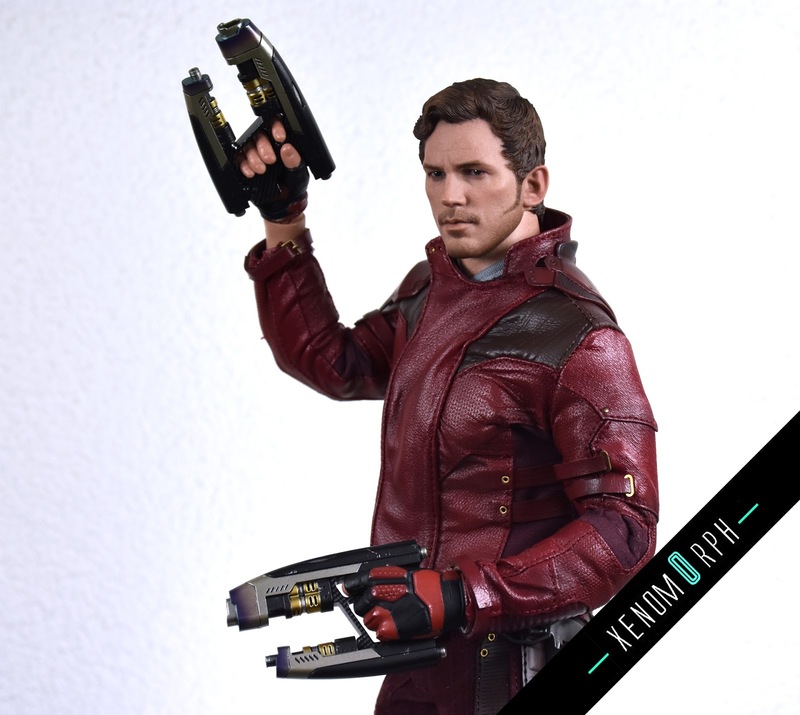 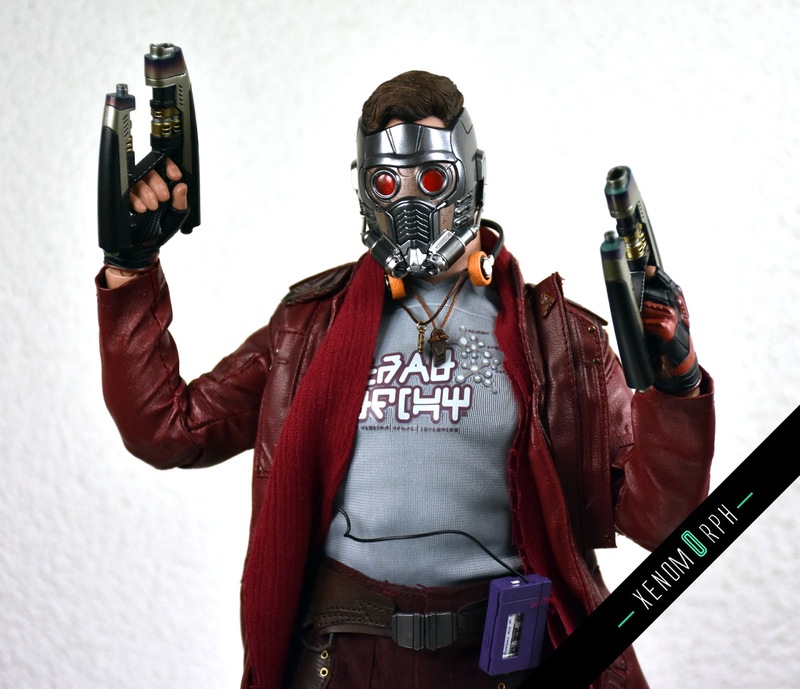 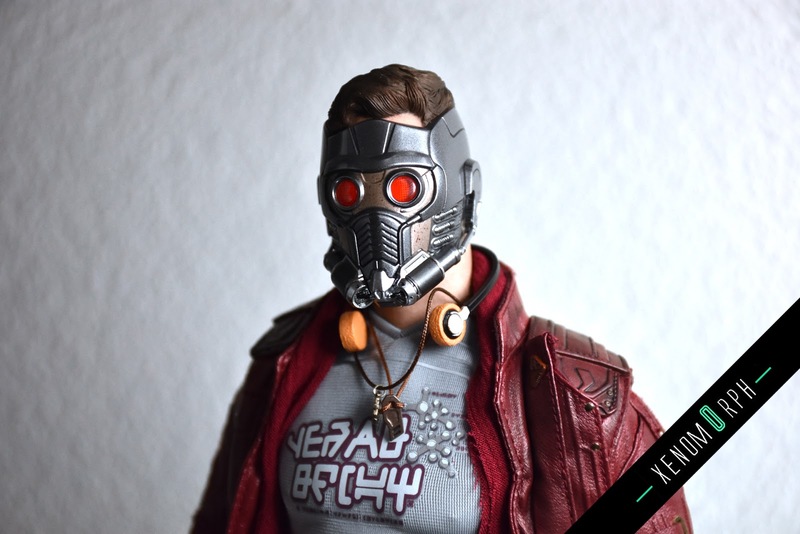 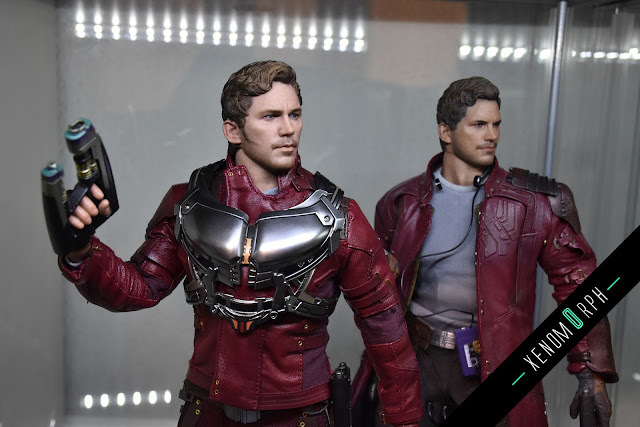 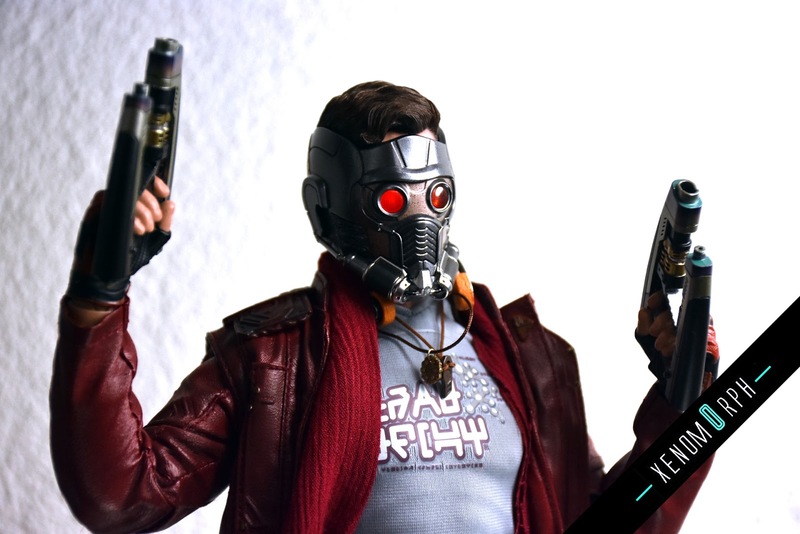 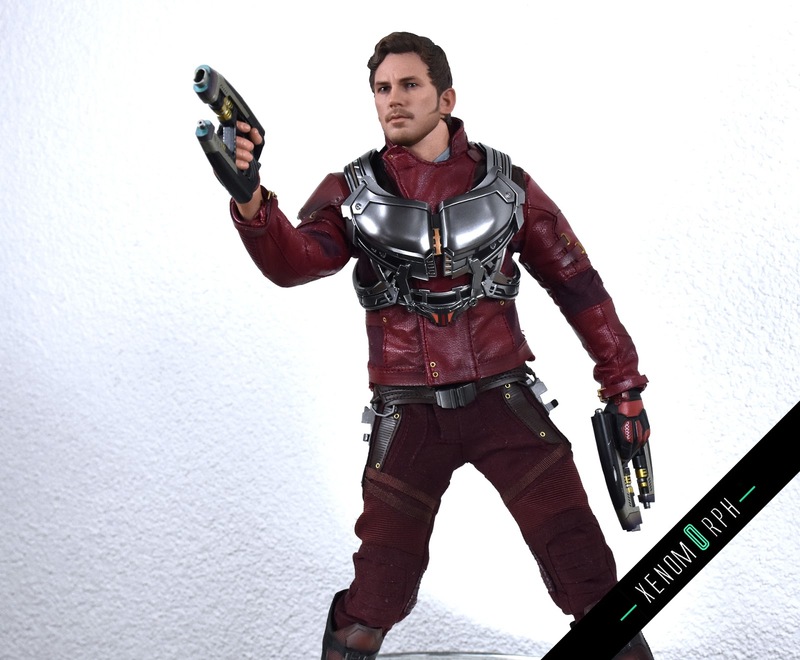 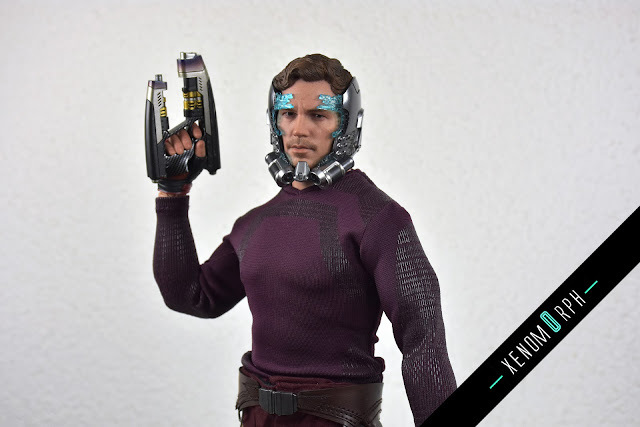 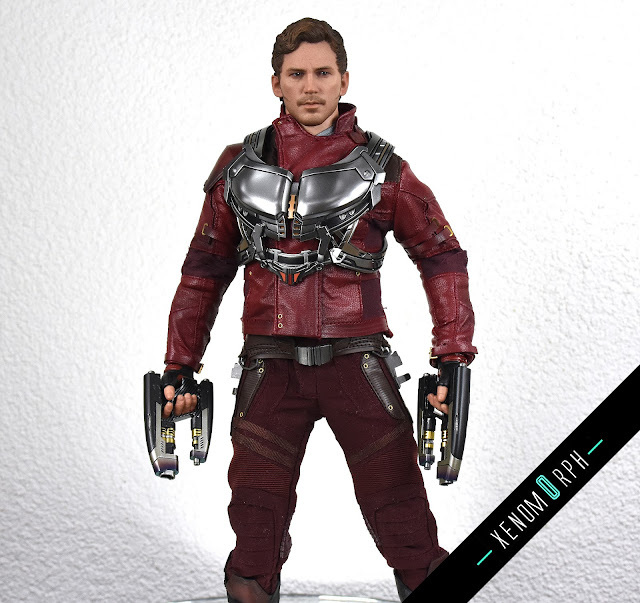 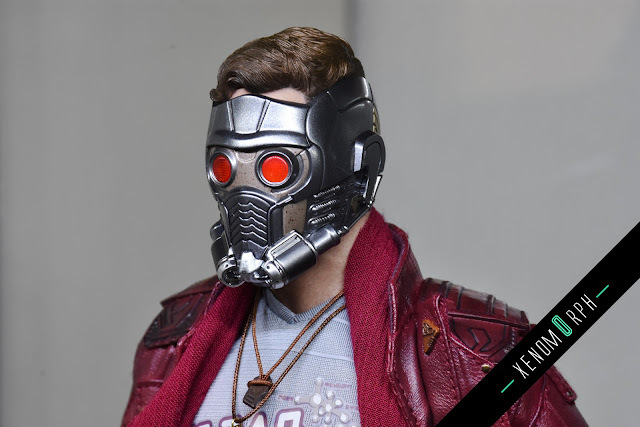 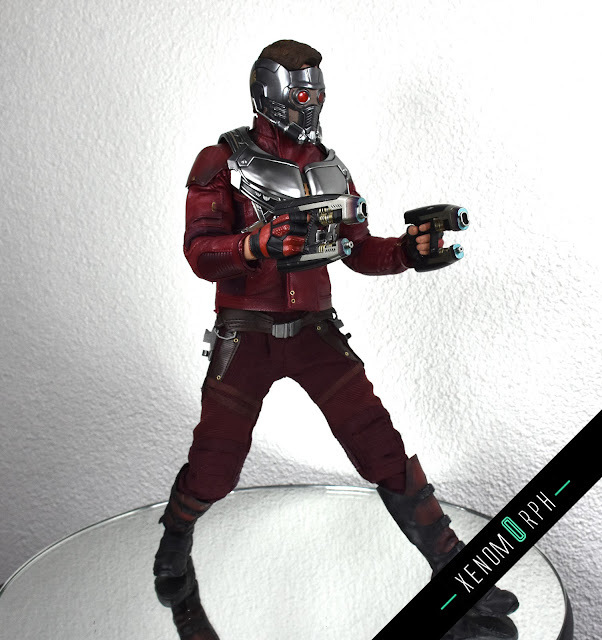 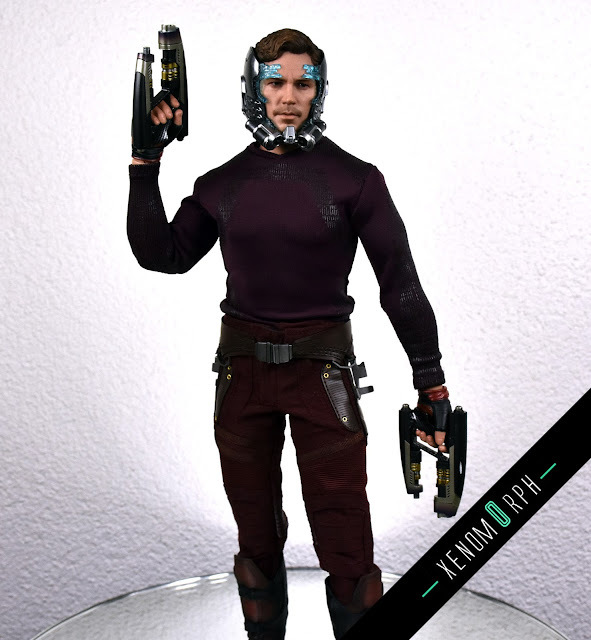 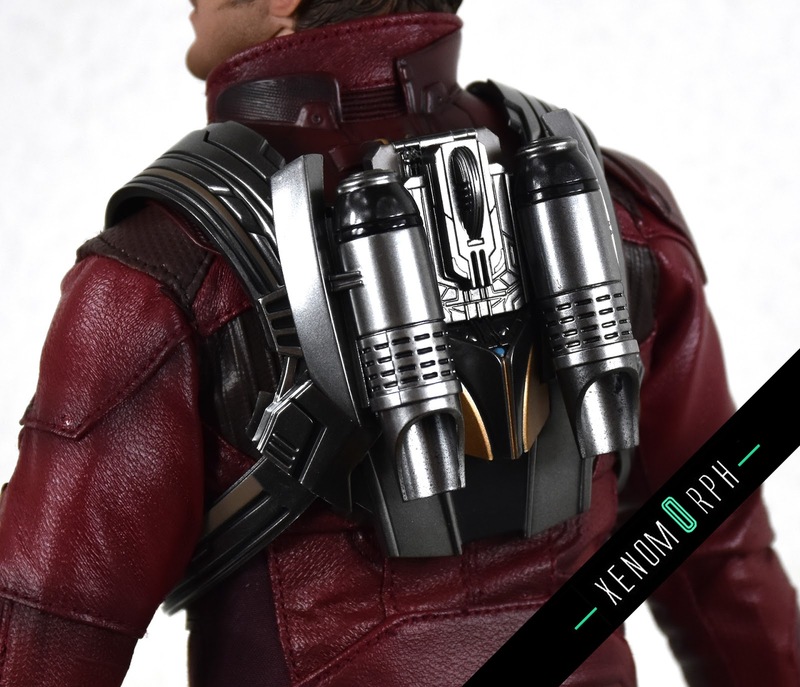 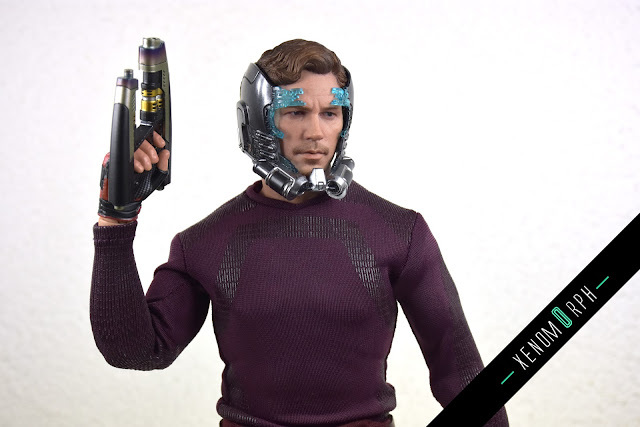 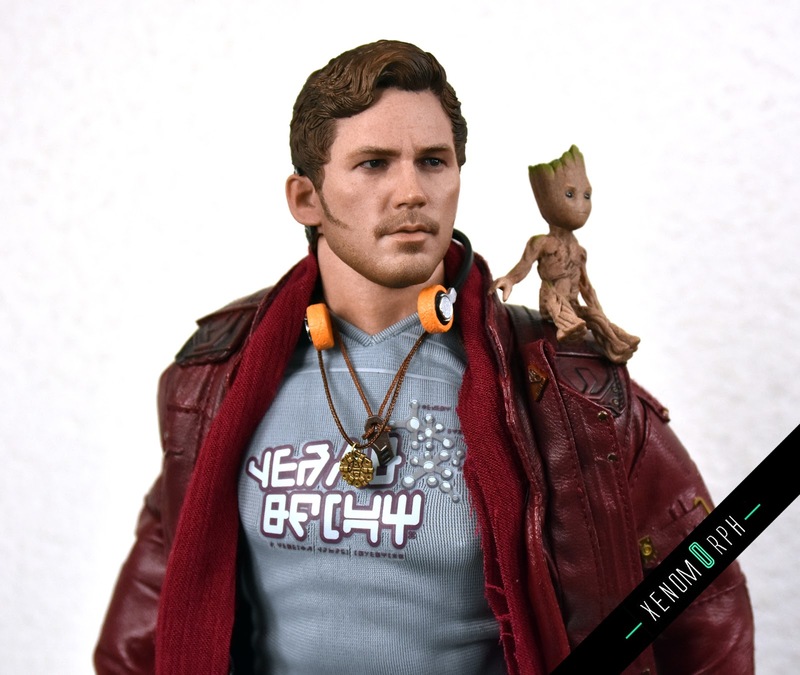 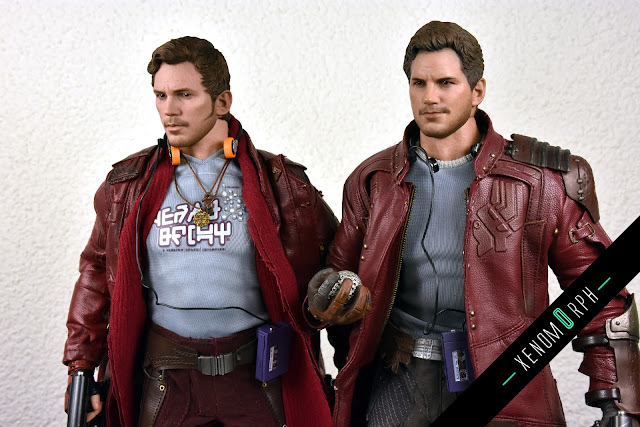 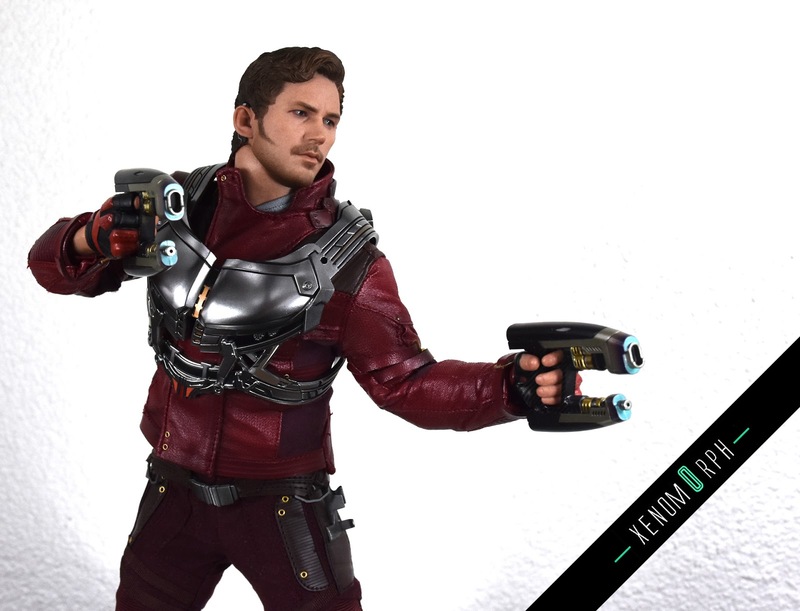 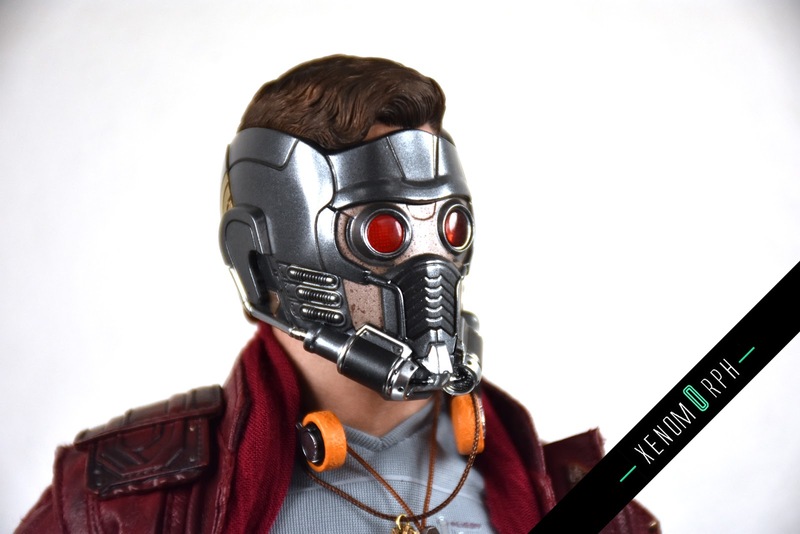 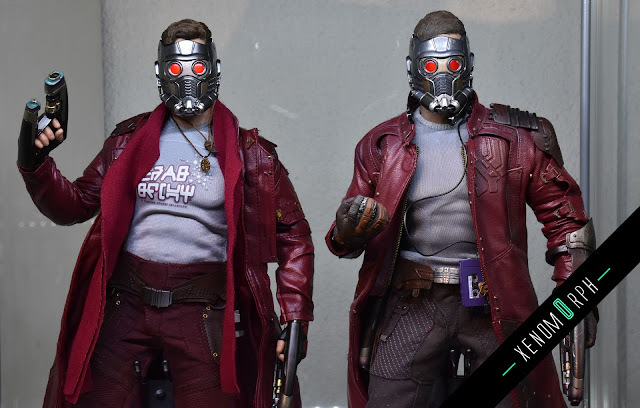 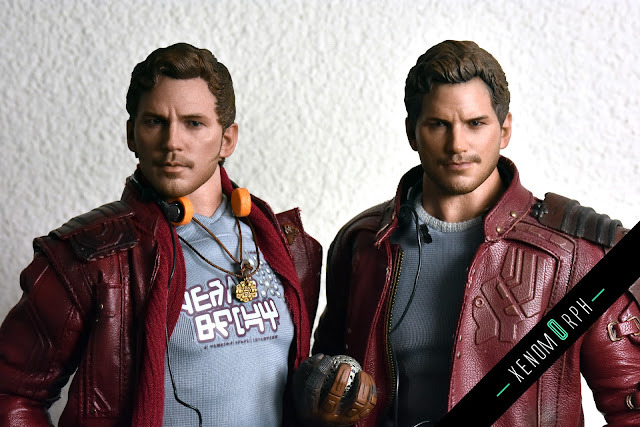 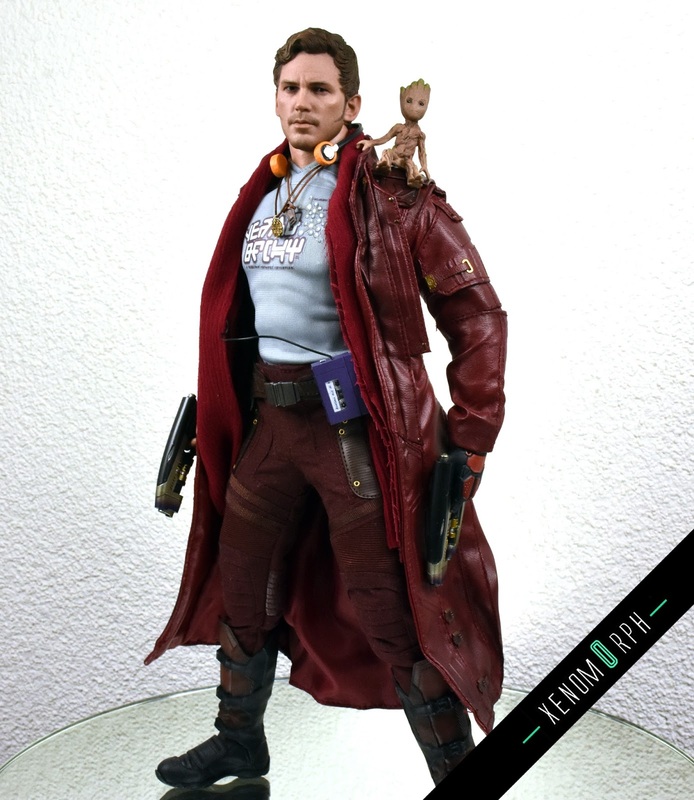 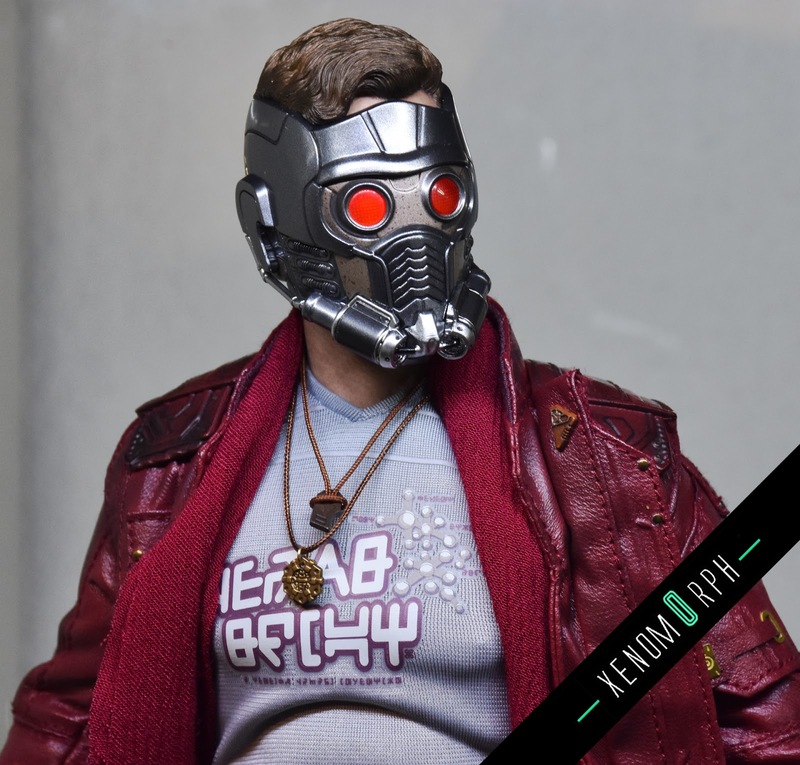 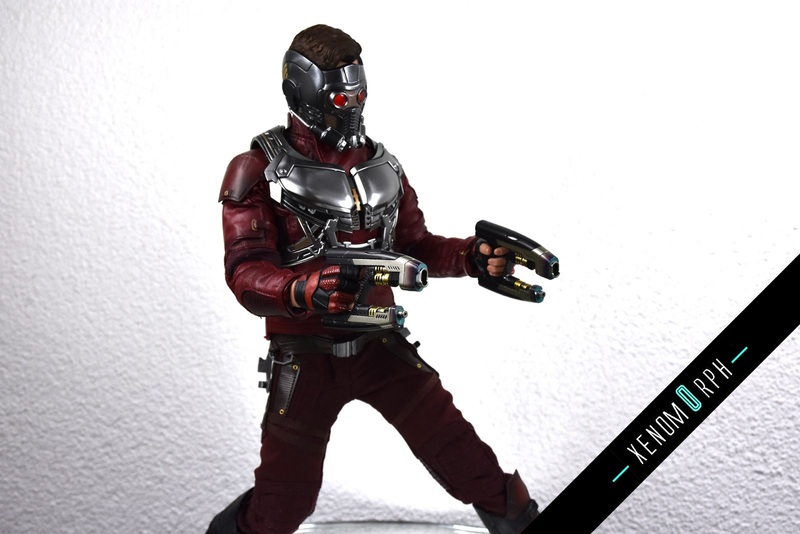 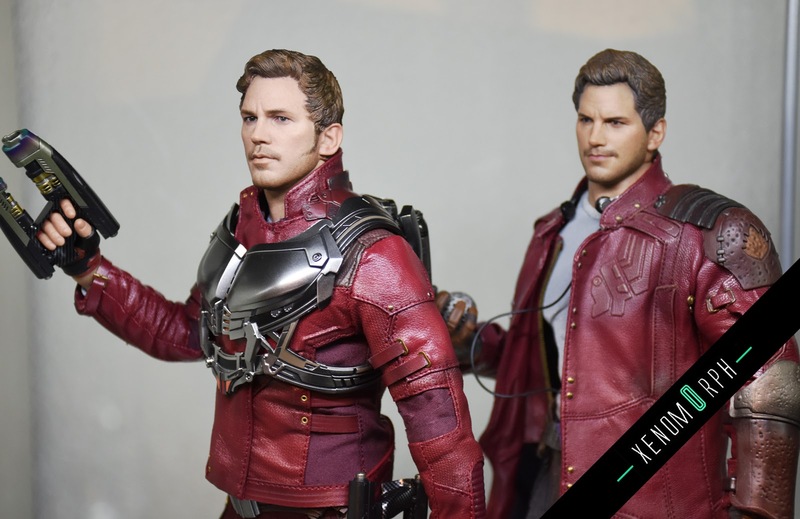 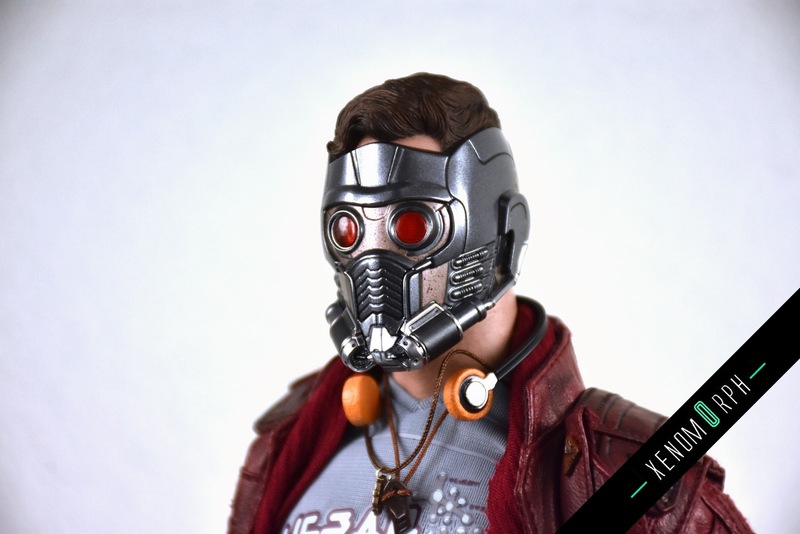 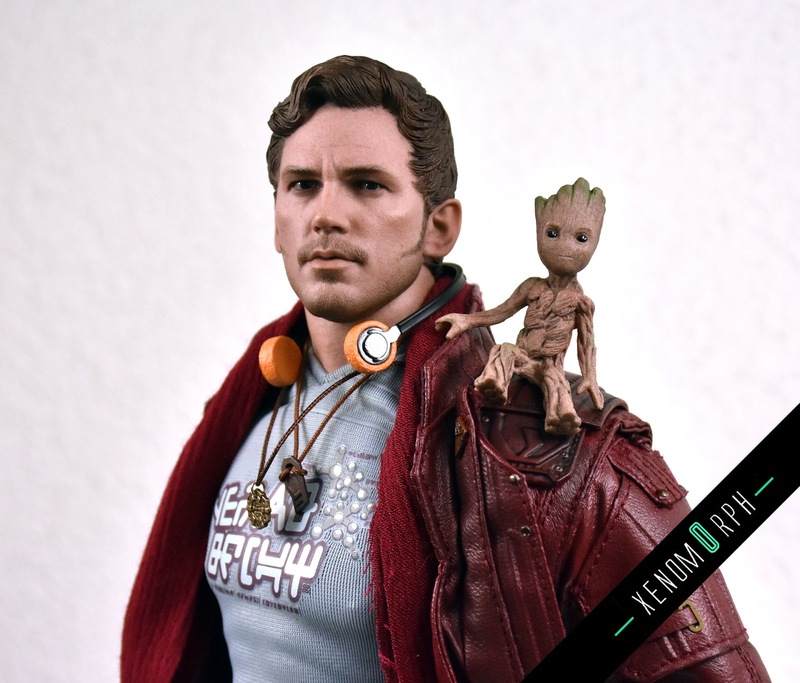 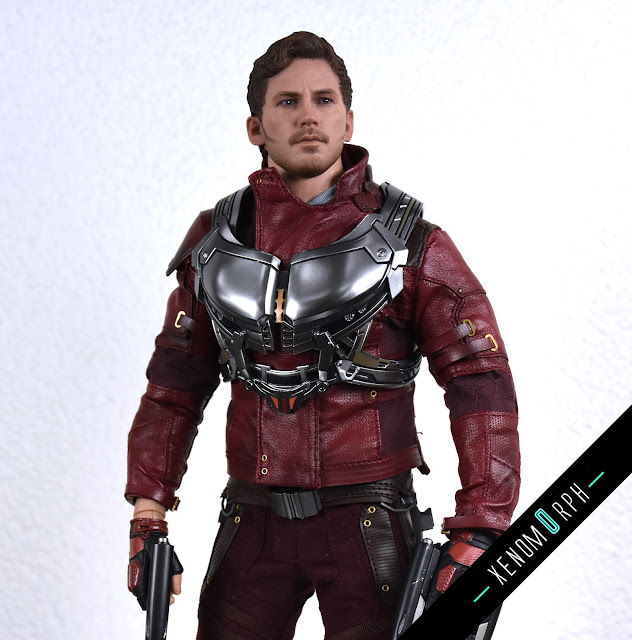 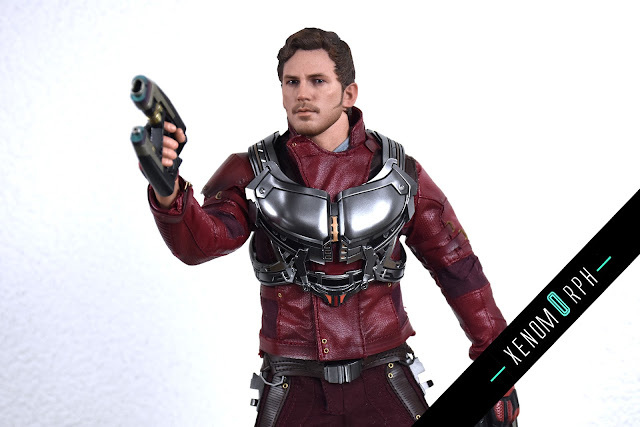 I also added some photos comparing this release with the first Guardians Starlord.